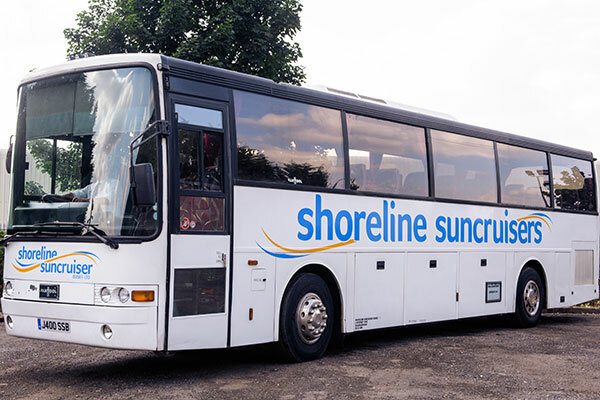 No matter how many people you need to move, Shoreline Suncruisers provide the complete transport solutions for people living, working and at play in Scarborough, North Yorkshire. From their booking office on Falsgrave Road in the centre of Scarborough (near Sainsbury’s lights) they keep the town on the move, co-ordinating a range of bus hire and coach hire services. 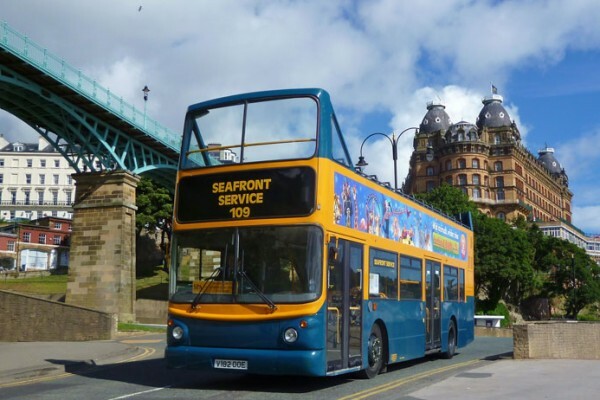 So for school journeys and trips, days out across North Yorkshire and Open Top Bus Hire for weddings and special occasions please check out our website and contact one of our friendly, experienced office team. SS Suncruisers started operating on Scarborough seafront in March 1991. Jack Stephenson was co-owner of the business when it was set up in 1991. Then in March 2000 it became solely owned by the Stephenson family. In addition to Jack, his wife Rosemary also became involved in the business. 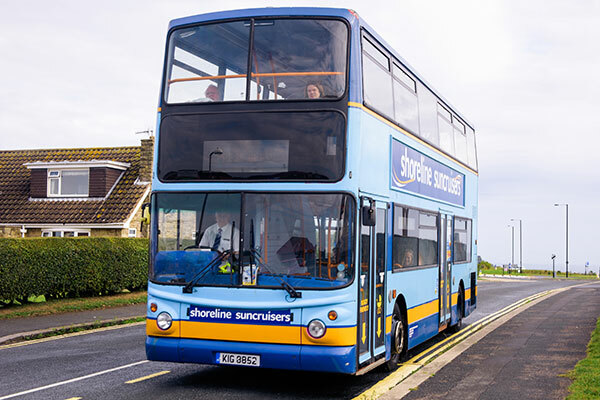 Up until October 2001, the seafront service was all that operated, however, in 2001 a new company, JR Promotions Limited, with the same ownership as SS Suncruisers was formed to operate a fleet of hard top double decker buses on school contract and private hire work. Initially three buses were purchased but it very quickly became evident that the business was expanding at a rapid pace. The company now operates a fleet of mostly Volvo buses with various bodies fitted. Apart from the open toppers, all but one of the buses and coaches are fully fitted with seatbelts and most of the buses are fitted with luxury coach seats. We have 49, 57 and 70 seater coaches; all of which are available for private hire. Please click here to view our Liability and Conduct for passengers. ANYWHERE, ANY STOP £2 Adults, £1 Children Single Fares – Concessionary Pass Holders travel free! The cheapest way to travel from Filey to Scarborough! 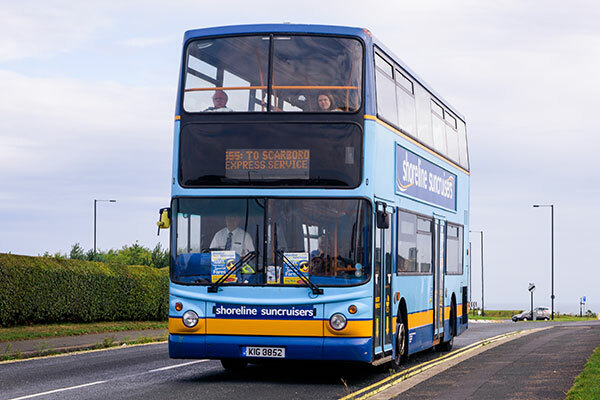 Running on Sunday to Thursday during the Summer school holidays and Wednesdays only in May, June, September & October – hop on, hop off all day for only £6 adults, £4 concessions & children. ANYBODY…ANY STOP…ONLY £1! Concessionary Pass Holders travel free! Available for Sporting Events, Weddings, Christenings, School Prom Nights, Theatre Visits, Club Outings, Exhibitions, Corporate Events, Airport Runs, Town Tours, Shuttle Buses etc. Whether it’s a 49, 57 or 73 seater coach or a double decker with seat belts or an open top bus, whatever your requirements, no matter how big or small. 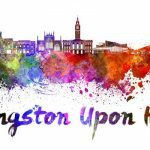 Running through Northstead, Newby and Lower Barrowcliff to town – ANYBODY…ANY STOP…ONLY £1! Concessionary Pass Holders travel free! 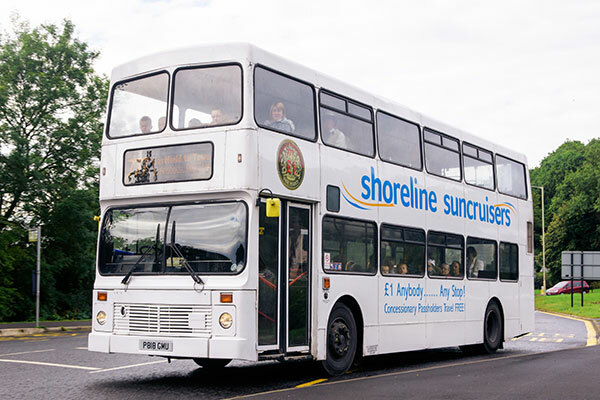 Shoreline Suncruiser Buses are proud to provide the Home to School Services for the following local Schools & Colleges, together with regular school sports trips and educational visits. 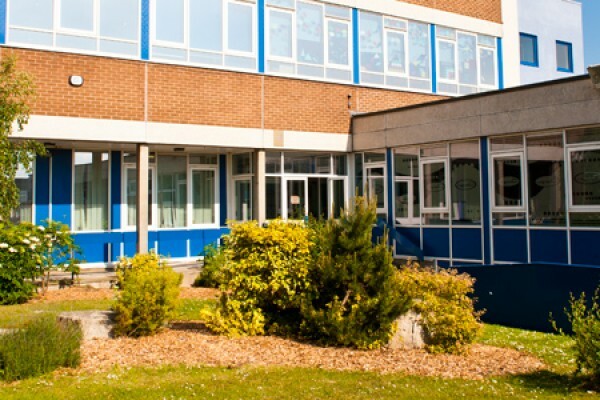 If we can be of any help to your school or college please do not hesitate to contact us.